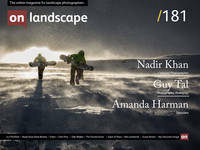 There is a fascinating exhibition at the Royal Academy of Arts that will be of interest to landscape photographers. David Ward feels that "Constable, Gainsborough and Turner virtually set the agenda for landscape and that their use of light and choice of subject matter remains relevant today." Highly recommended, exhibition open until 17 February 2013.